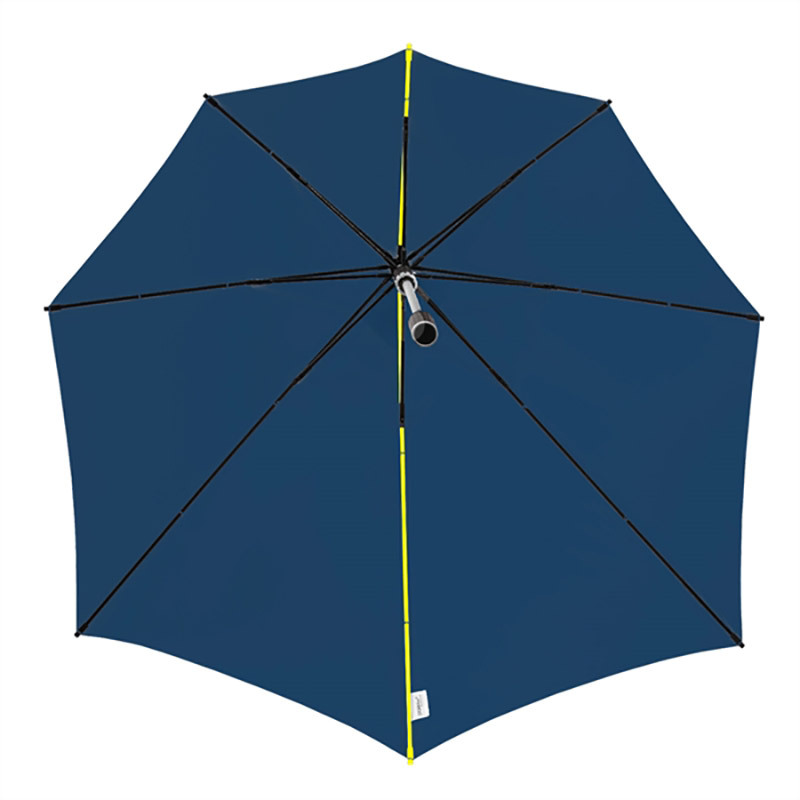 This navy blue, stealth fighter storm proof umbrella has an aerodynamic, delta-shaped canopy. 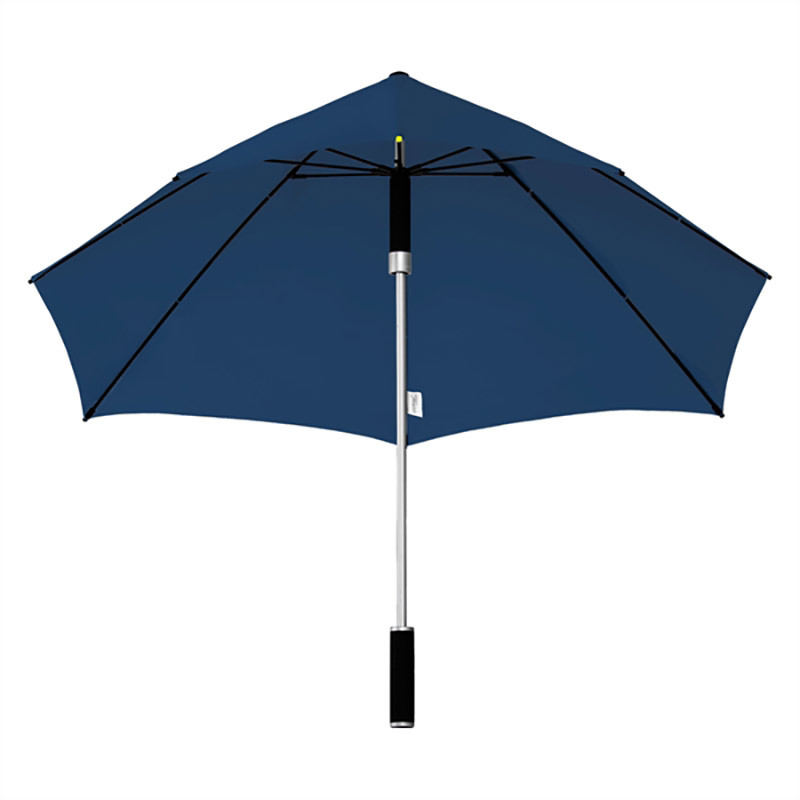 As well as this, an aluminium shaft, fibreglass frame and rubber coated handle. The navy Stormfighter Stealth Windproof Umbrella has been design tested in wind tunnels to withstand wind speeds in excess of 100 kilometres per hour (over 60 miles per hour). 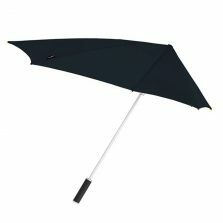 A totally windproof umbrella and a totally storm proof umbrella, the Stormfighter with it’s strong, lightweight aluminium shaft and straight rubberised handle is a great umbrella for the serious hiker or golfer – just slide it into your golf cart or rucksack and you’re all set – ready to take on the strongest of winds. Due to it’s clever design, this aerodynamic windproof umbrella automatically finds the best – and most comfortable – wind position. No gust of wind will turn this storm proof umbrella inside out. 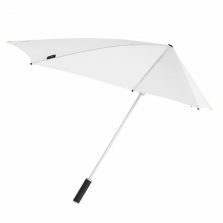 The perfect visibility and strong windproof frame all contribute to sustainability and ease of use, in all weather conditions! Functionality, quality and style from this amazing dark blue storm proof umbrella. Slay the storm with a Stormfighter! So, if you just typed into google “strongest, most windproof umbrella in the world” this just might be the one. We’ve not seen anything stronger or more windproof – there are already videos of it on the internet showing it withstanding wind speeds of over 130 km per hour. If you know someone who appreciates technology this true windproof umbrella could be an ideal gift. 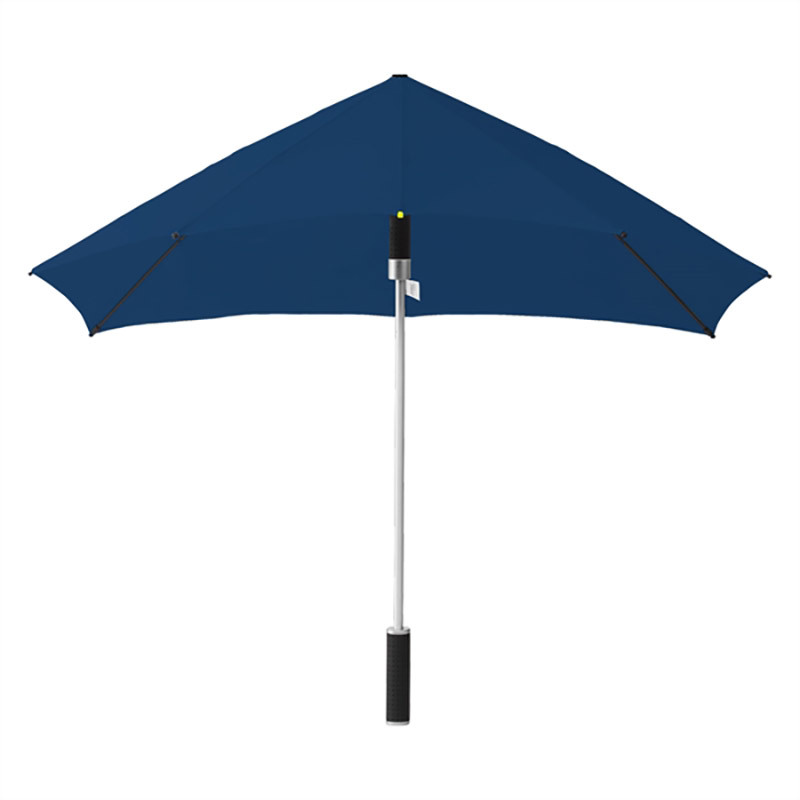 Also, this strong, aerodynamic storm proof umbrella is available as a folding, compact version. 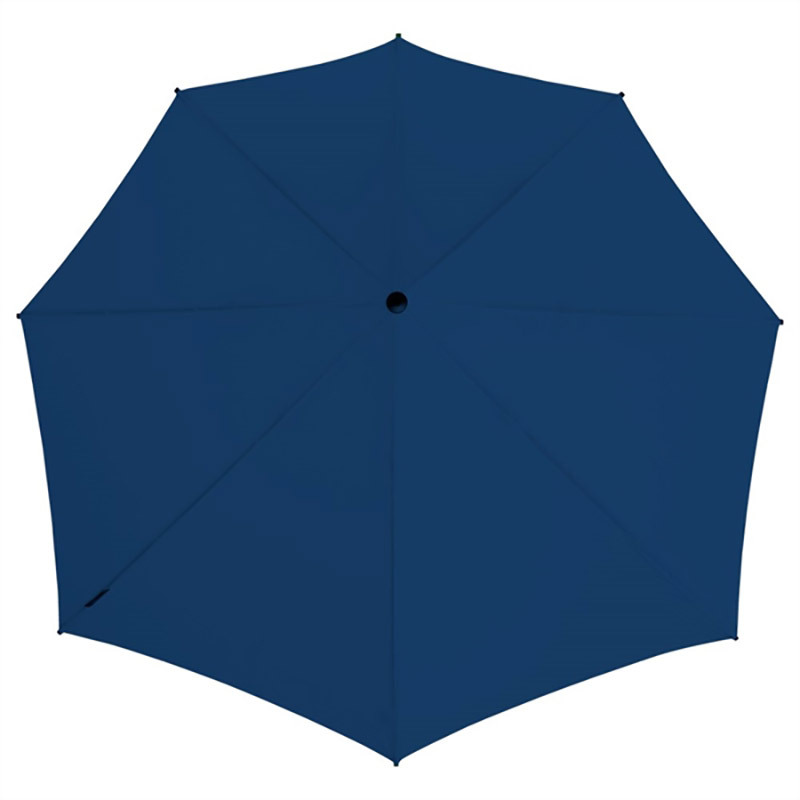 As well as this, it is also available in other colours – red, white, black and royal blue. Click for the compact, folding stealth bomber umbrella. 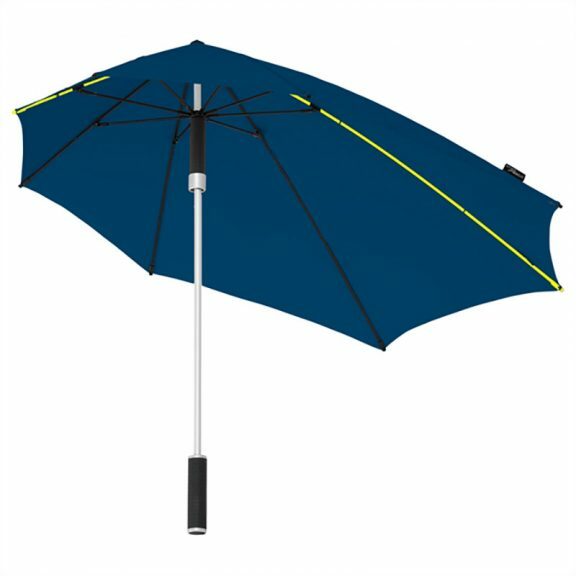 If you still don’t believe that this storm proof umbrella can function at excess speeds of 100 km / h, check out this video! Check out the rest of our mens windproof umbrellas!